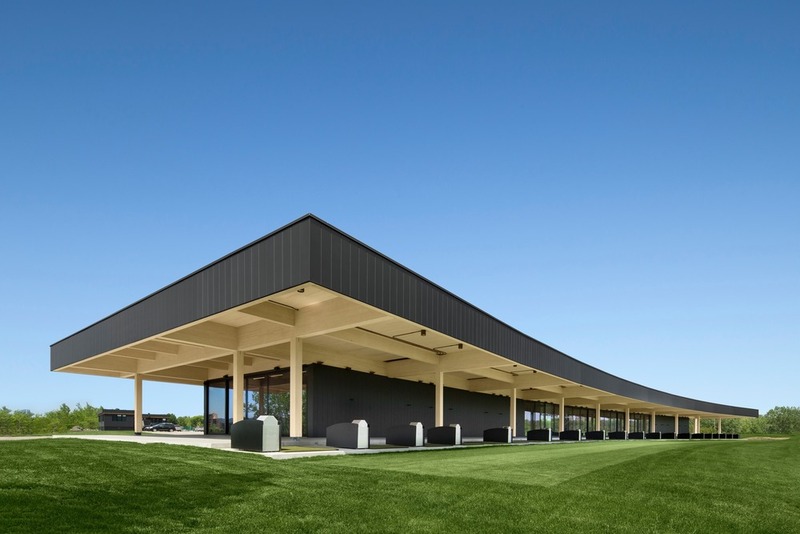 The new building boasts a massive wooden roof, whose clean lines echo the curve of the driving range. The clubhouse delivers an exceptional experience for golfers who appreciate refinement and high-tech facilities. Architecture49 is proud to unveil its latest project, the clubhouse for Golf Exécutif Montréal, located on Nuns’ Island, a green oasis in the St. Lawrence River facing downtown Montreal. The building, which boasts an impressive wooden framework, is designed to offer its users an exceptional experience. It includes sheltered driving-range tees, a bar in the centre of a spacious lounge, a full restaurant kitchen, state-of-the-art golf simulators, a pro shop, offices and mechanical spaces. 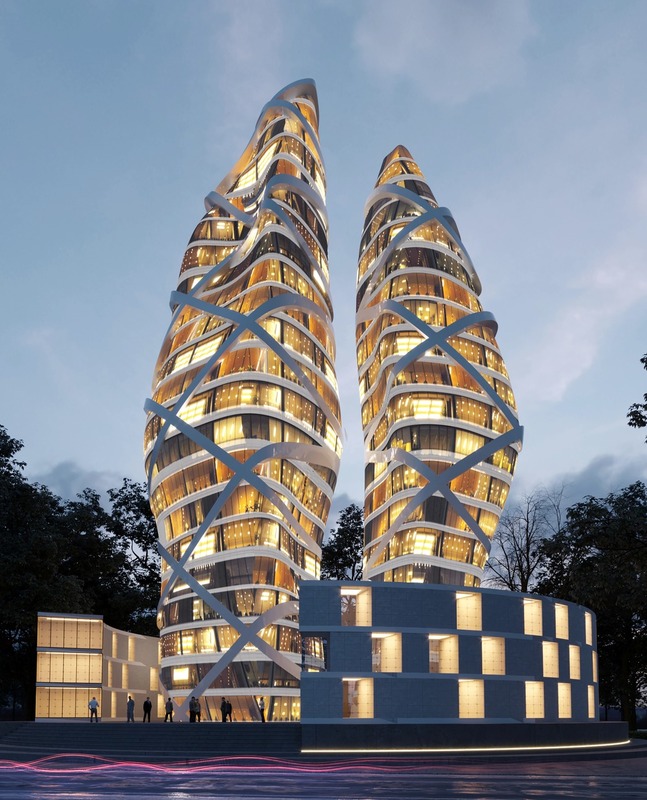 In his Towers of Love, Toronto-based architect Alva Roy takes the notion of love and shoots it from deep beneath the earth’s soil, towards the sky. His design allows onlookers to pause to apprehend the mystery; allowing visitors to walk its hallways and through its corridors; and, of course, those who live there, they will have the chance to be fully immersed in the recesses of its heart. 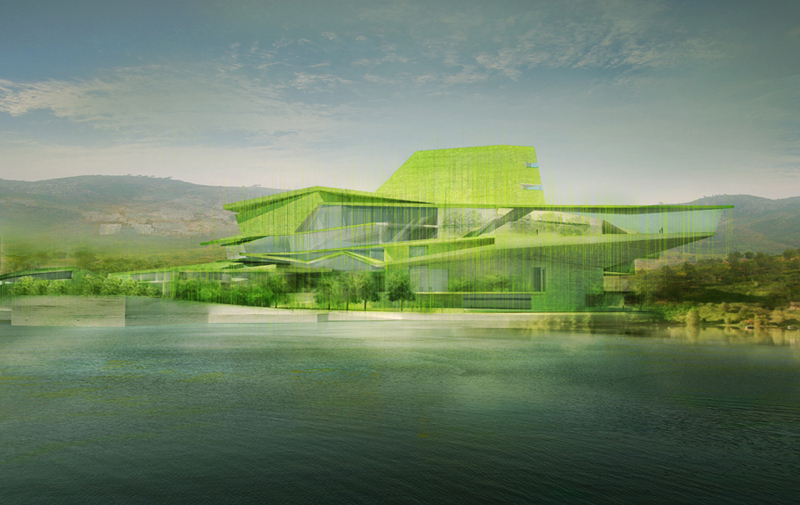 The competition awarded the design by the Milan studio, which proposed a building with a unique territorial identity. Located in the municipality of Postalesio in the province of Sondrio (120 km north of Milan), the project is an opportunity for Piuarch to make the most of the landscape and the economic and historic context of the area. 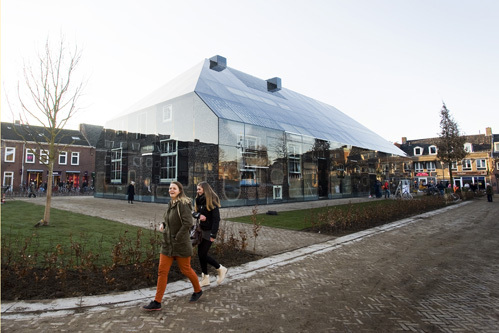 RemBrand developers, the Town of Schijndel and MVRDV complete the Glass Farm, a multifunctional building in the village square. The building with a total surface area of 1600m2 contains shops, restaurants, offices and a wellness centre. The exterior is printed glass with a collage of typical local farms; a monument to the past but 1,6 times larger than life. This concept can be seen as a contemporary response to retro-architecture whilst respecting the public’s wish for vernacular authenticity. In 1944 the small Brabant town of Schijndel which is the birthplace of Winy Maas suffered from WWII Operation Market Garden damages resulting in an oversized market square. In 1980 the then 20 year old Winy Maas urged the mayor to fill in the gap, 23 years after this first initiative the building is now completed. Algueña is a small village in the interior of Alicante County, with a population of two thousand and an economy based in agriculture and marble industries. We were asked for a building able to bring together all the activities related to music and culture that took place in the village, and also promoting its cultural future. We were commissioned to search for an opportunity, articulate it and carry it out. 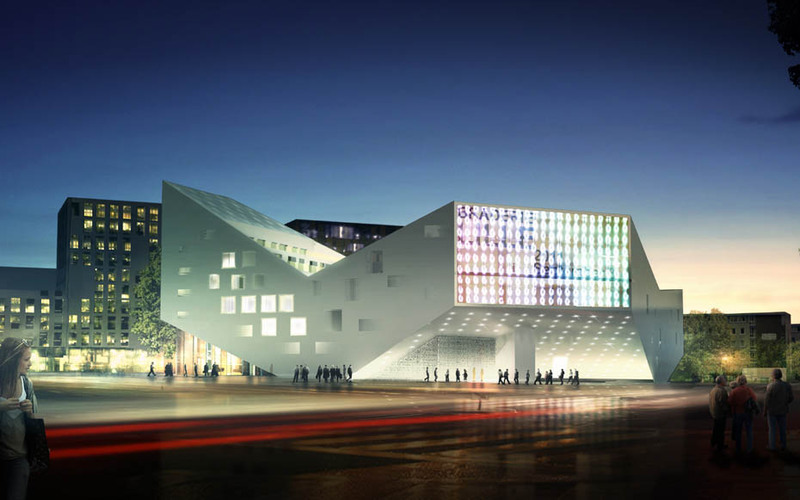 JDS Architects have just signed the contract to execute their first French project for the city of Lille. The Lille project emerges from the idea of creating an urban catalyst, accommodating three distinct programmes on a triangular site. By placing a program in each point of the triangle, we offer maximum privacy while allowing them a closeness and continuity of space, organized around a garden, like a cloister of calm in the center of the city. 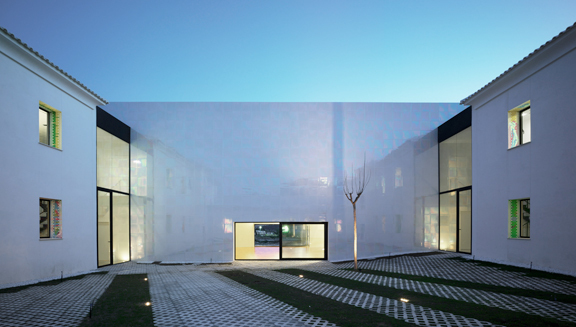 The lifting of the mass of the programme at the corners illuminates and activates the adjacent public spaces and creates a continuity from outside to inside of the building.